DEPARTED THE SHOW FEELING: that blonde hair can not be real? jjjeeealllousss. 2.) That hair! ugh. Most women would kill for those locks..
UK sensation Tom Odell made his very first trip to Los Angeles and performed a free show to a packed crowd Monday night. Now, I’m going to be audacious and speak for the people lucky enough to arrive early and get into that room. We were completely floored by the talent that radiated off this young person. Tom Odell has the looks of Leo DiCaprio circa 1997 mixed with a little Leif Garrett straight out of 1975. Don’t let the Leif comparison turn you off here. Those good looks (come on Leif was a cutie pre-car crashes and crack) combined with the vocal ability and piano chops of Chris Martin means he is about to explode, all over. The very short 30 minute set ebbed and flowed nicely from “Can’t Pretend” to the anthem track “Sirens”. What makes Tom Odell so special is the way he eloquently builds his tracks. They start out in this sweet and subtle way which leads up to a crescendo that just makes you gasp for air. 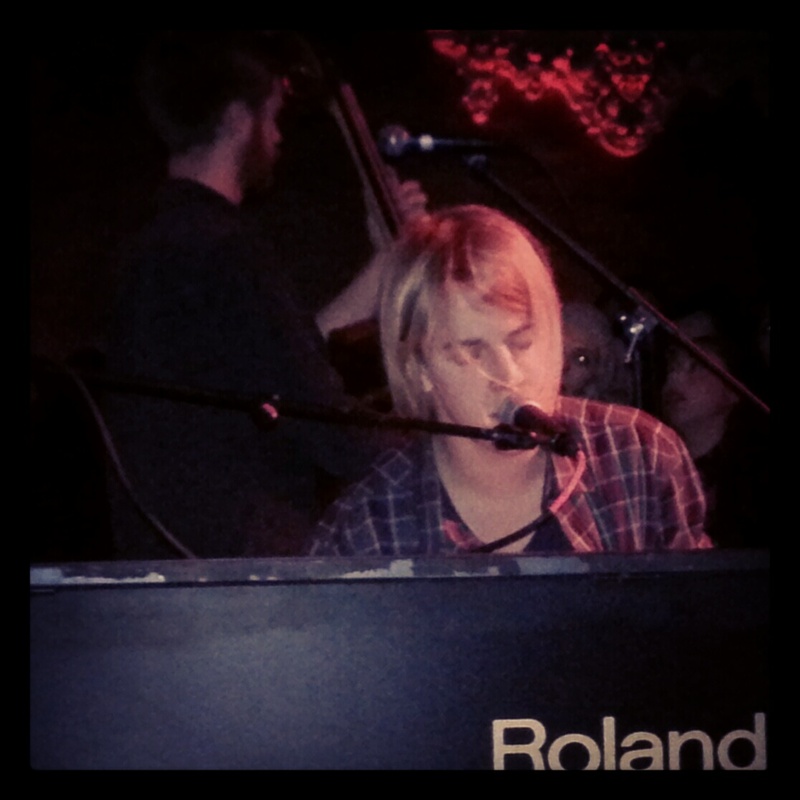 Tom Odell tells a story, holds you captive, and doesn’t let go.